Live the Gospel AND Live Your Dreams. Is this through the Church? What is Live My Gospel? 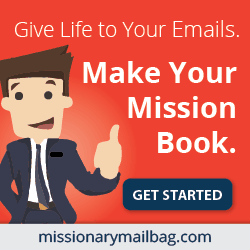 Whether you are a returned missionary or not, as an LDS you are a missionary for life. A member missionary. However, your role is different as a “civilian saint” and sometimes it helps to have some pointers after you take off the name tag. Here are six. Editors Note: The intent of this article is based off of principles that are found in Elder Clayton Christensen’s book The Power of Everyday Missionaries. This book, (along with a book by Gary Lawrence about how Americans perceive Mormons) has completely changed the way I think about missionary work, and applying these principles, has changed my life. 1. Awareness – I realize Mormons exist. 2. Awakening – I notice Mormons more often now. 3. Curiosity – I want to know why they think this way and what they believe. 4. 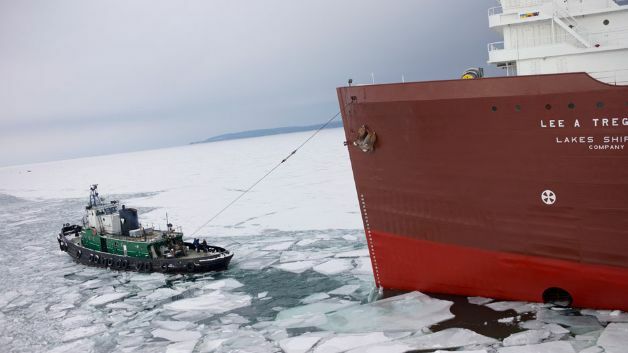 Interest – I want to know if it is true what they believe. 5. Investigation – I am actually going to pursue this desire formally. 6. Conversion – I know it’s true for myself and I’m going to change my entire lifestyle to show it. In addition to those six stages of awareness, it usually takes someone in the first four stages seven positive interactions with an actual member of the Church (or a good review from someone else who isn’t) to get to the point where they are ready to open up to learning more 1. What most us members forget is that we just need to have a positive interaction WITHOUT any expectation of them being ready to jump into missionary lessons or come to church. We just need to have more positive interactions! NO expectations. Otherwise, you get all worked up thinking that this was your last chance to help them to receive the truth, when really it is probably just “positive interaction #3” and they need to have at least 4 more before they choose to move on to the next step of awareness. Just be genuine friends with people who aren’t members of our faith. Be normal and treat them normal. 2. Call Yourself on a Mission. The Lord asks us to be agents to act and not be acted upon (D&C 58:26-28). I strongly believe that the Lord desires for us to become the creators of our circumstances instead of the creatures carried by circumstance. Many wait for a call to do missionary work or believe that they are not expected to do missionary work unless they have a calling to do so. This is not so. We must be brave enough to become “entrepreneurs in Zion.” 2 I’m not talking about ward bake sales. 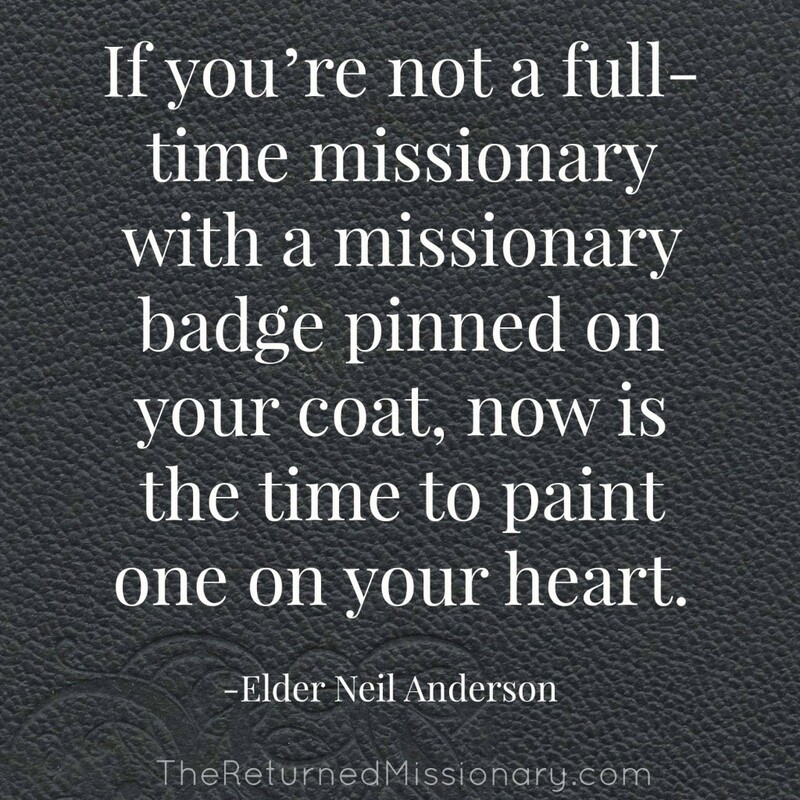 I’m talking about making missionary work a part of every calling you have, especially when you aren’t a full-time missionary. Hasten the work. Become entrepreneurs in zion. I know I just talked about this above, but this is so important that it needs to be talked about twice. 4. Be a Saint at Work. I love that Clayton Christensen, (who was awarded the number one management thinker in the world, is a Harvard Business School professor and the author of the New York Times best selling book How Will You Measure Your Life? 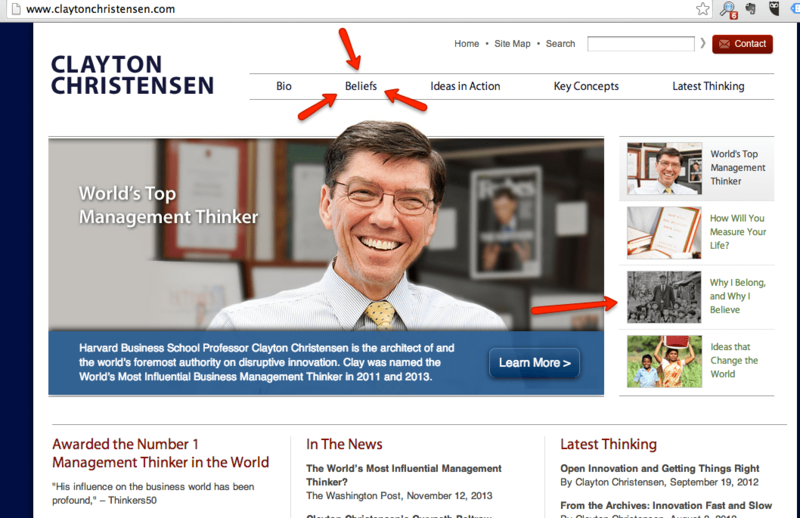 ), has “Beliefs” as the second tab on his website! What an amazing example! Why you don’t drink coffee in the mornings. Why you don’t drink alcohol at company parties. 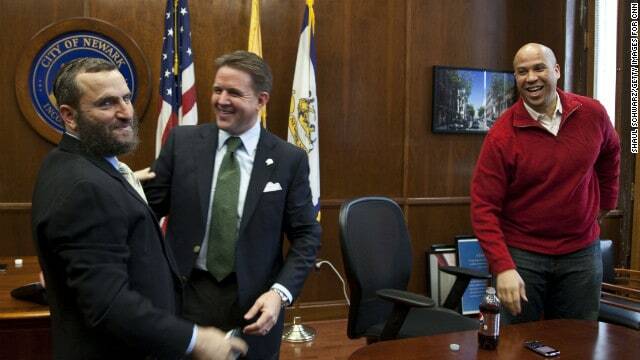 Why you took this job instead of another one (that would have made you work on Sunday). Why 10% of your paycheck goes to charity in the form of tithing. Why your family matters to you so much. Why there is a picture of you and your spouse outside that white granite stone building on your wedding day. Why you don’t like to carry on when people are telling dirty jokes. Why you have a link to your beliefs on your personal website or blog. Why (when you could just bluff the data) you are completely honest about the profitability of a product line you manage, even if that means you will get a major pay cut or even have to find work elsewhere. Why you read that blue hard-bound book during your lunch break. Why it just feels good to be around you. Why you seem to just have a light in your eyes. If we are Saints at work, people will be asking these questions in their head. Some will ask you out loud if they ever get a chance. Make it easy for them. Be bold about it when you feel inspired to share. No working relationship will be seriously injured by talking about that which gives you hope and fuels your ambition. No working relationship (or any relationship) will last you if you don’t openly live what you believe. Either way you go, it will always catch up to you. The application of this principle has completely changed my life. It will change yours as well. Asking them to participate in a career night with the young men and young women in the ward to explain how they got to where they are. Ask someone to help you teach a primary lesson about the Good Samaritan and why it is good to be like this. Ask them to review a religious blog post on your personal blog intended for the public before you publicize it to the world. Tell them that you need an “outsiders perspective” so that you make sure it sounds okay to someone outside of your faith. Explain to them about the law of the fast and read Isaiah 58:6-12 with them. Tell them about a special situation of someone in your family or ward who is struggling (with a terminal disease or a financial disaster or even a natural disaster somewhere in the world) and invite them to join with you in a special fast for the needs of these people. After the fast, tell them about the system of fast offerings and how the funds that are given from people in this community go to helping those who don’t have enough in that same area. If we just give people a chance to help and to be needed. They will feel the Spirit. They will feel very good about themselves and they will have a desire to give even more. People give. No matter how wealthy or educated, people need to be needed. Let them help. Let them give. In case you weren’t convinced by LDS.net’s video above, here are 4 reasons why online missionary work is crucial and over 100 things you can do to get involved doing online missionary work right now. 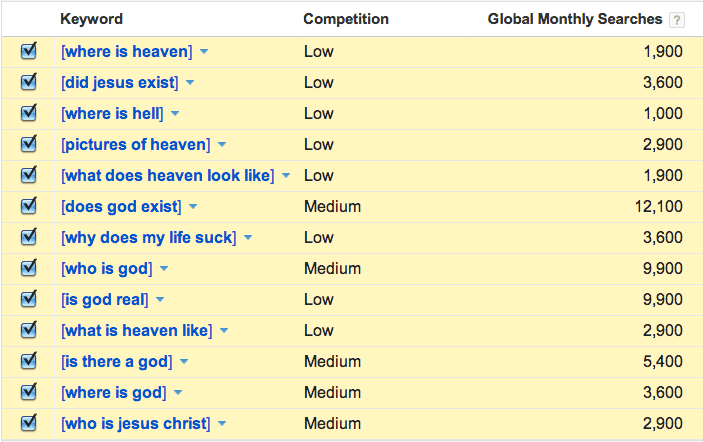 These are things that thousands of people are asking Google instead of asking God. Be a part of the conversation. 5 You can do so much online right now. 5 minutes. 10 minutes. 1 hour. All day. Spread good online. Be a member missionary. Rethink success. Rethink missionary work. The moment you seriously commit to being an everyday member missionary, your life will change forever. ***If you enjoyed this post, please share it with others who you feel would benefit from it and subscribe to the free newsletter. And to never miss a post, like our facebook page. 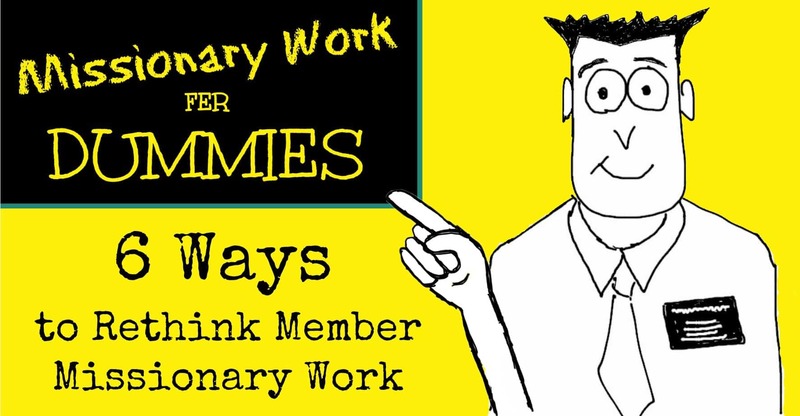 Andy is the creator of T​he Returned Missionary (this blog)​, encouraging the tens of thousands of LDS missionaries who come home every year to continue to be productive, hardworking, faithful, and happy long after their full-time mission has ended. His goal with this blog is to help people know how they can live the gospel while living their dreams. 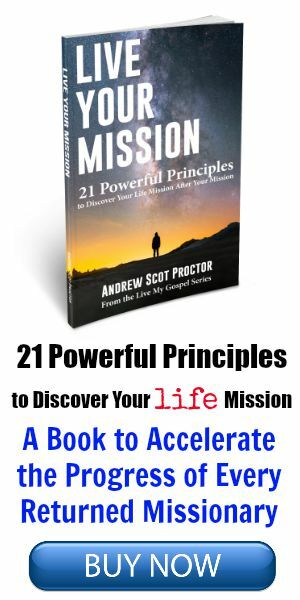 He just launched his first book for RMs, called ​Live Your Mission: 21 Powerful Principles to Discover Your Life Mission after Your Mission, which is the first book in the L​ive My Gospel​ book series. He also owns and manages the LDSmissionaries.com blog. He is a regular contributor to Meridian Magazine and has been featured on the Mormon.org blog as well as LDS Living and Deseret News. You make good points. I have always said that if you just act “normal” and live out the commandments you will get questions that will naturally lead to missionary opportunities. People will eventually notice you act “different” and inquire. To me, the trick is being ready to answer and take advantage of the situation. I can remember being a new convert and struggling or stumbling with what to say but I used those as learning experiences. I struggle with online missionary opportunities because if she seems like an open for negativity and haters to come out of the woodwork. This negativity seems to come out quicker online as people normally aren’t as combative in person. CORRECTION: I struggle with online missionary opportunities because it seems like an open for negativity and haters to come out of the woodwork. This negativity seems to come out quicker online as people normally aren’t as combative in person. I am in need of a The Power of Everyday Missionary Book for TEENS! I know there are as many examples of using these principles within our schools as there are within the workforce, and I need my hands on them!! Of course, I’m trying to create them, but we need collaboration so we can have an archive of experiences teens are having, such as Clayton puts in his book about adults. Great idea! Maybe you should write it! I like that. This post is fantastic! I will be using this to teach my young woman’s lesson this week. I thought it was interesting that the steps people take to discover the LDS church is similar to the steps that members take to discover their own testimony and conversion within the gospel. This was a great read! Thank you for your insights. Survey for RMs – We Are Publishing A Book! 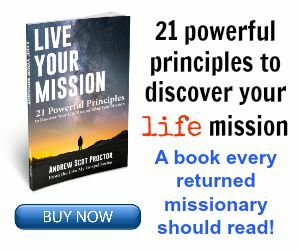 Copyright © 2019 The Returned Missionary – Live the Gospel & Your Dreams. All Rights Reserved.